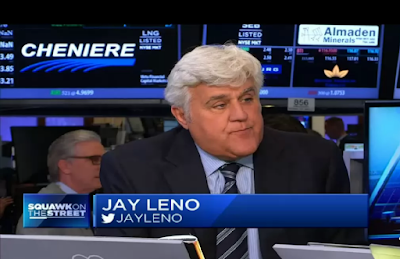 Jay Leno was on CNBC's "Squawk on the Street" yesterday after ringing the opening bell at the New York Stock Exchange to celebrate "Jay Leno's Garage," and spoke with Carl Quintanilla and Jim Cramer on his opinion on Tesla and Elon Musk. During the interview, Leno equated the fate of cars of today with those of snowmobiles and recreational vehicles, "I think in the future everybody will drive an electric car because of traffic, and on the weekend you use your Ferrari or your Hemi Barracuda. It's kinetic artwork. It's artwork that moves and rolls and explodes and makes noise. That's the way I look at it." 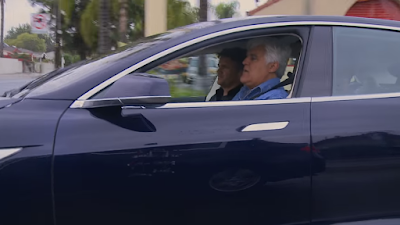 When Asked about Tesla Motors, Leno said "I've got a [Model S] P90D, it's a fantastic car. I don't understand why people attack this car. It is made in America, by Americans. It is built local. You know we are becoming like the British — we like noble failures more than we reward success. I don't know why that is." Leno went on to compare Tesla CEO Elon Musk to great car legends such as Thomas Edison or Henry Ford for his ability to produce cars against all odds. Adding "people think he makes 2,500 cars a year. He builds 60,000+.... He sells more cars than Porsche. And yet any time one has the slightest problem, people say it is terrible." He then criticized analysts and the media for not doing enough to promote and celebrate the success of local entrepreneurs "I am one of those people who believe engineers will save the world... I am very optimistic, I've seen Elon putting a rocket in space and then it landed. And I watched the news and they showed the one that blew up. Why don't they show the one that was successful? I don't understand why we don't celebrate entrepreneurship more and success in this country." 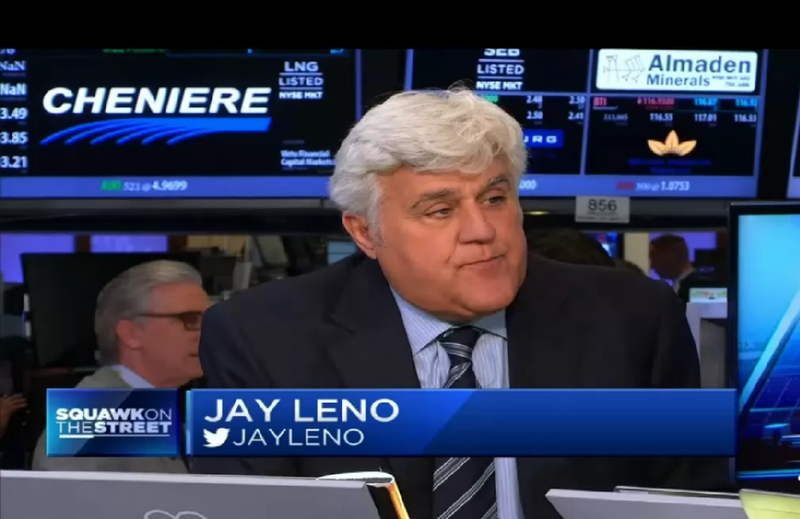 Leno is a car expert and is considered one of America's great car collectors. He owns approximately 286 classic and contemporary vehicles, including 117 motorcycles, most of which are custom-built from the ground up by his team of mechanics at his own garage. LOVE Jay Leno's Garage, and his thoughts on Electric Cars.